Refractory mortar is specially engineering mixture of sand, calcium aluminate cement, and fireclay. It is used to lay firebrick in places that exposed to high temperature. 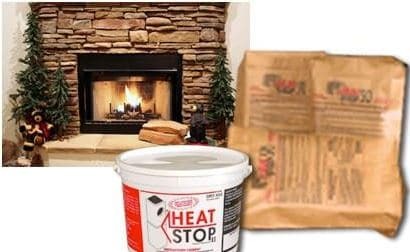 The refractory mortar is utilized only to build fire places and shall not be applied on hot faces. Two main types of refractory mortar are available which include hydraulic setting mortar and premixed or air-drying mortar.The former is more desired to due to its superior properties like acid resistant and water insoluble whereas the latter is used for indoor construction only since it dissolve in water. Added to that, jobsite mixed mortar is another type which is no longer applicable due to its inferior properties. The International Residential Code (IRC) and International Building Code (IBC) the use of firebrick mortar that conforming to ASTM C 199 for smoke chambers, firebrick (fireplace) and clay flue liner (chimney) installations. This because refractory mortars are easier to use, safer, more readily available, and eliminate guesswork regarding mortar formulation in comparison to jobsite mixed mortar. It is also called non-water-soluble refractory mortar and considered the best available refractory mortar. Hydraulic-setting mortar is a mixer of aggregate and binder and withstand temperature of 1499C for a minimum of 6 hours. Outstanding properties of non-water-soluble refractory mortar include acid resistant, water insoluble, and it is the only type of refractory mortar which is recommended for setting clay flue liners. The hydraulic setting mortar is similar to Portland based mortar in terms of workability and curing. Moreover, It is easier to ship and store than premixed. This type of refractory mortar comes dry in bags and is not subject to separation, hardening, or freezing before it is used. Lastly, it can be used to lay the firebrick, set the throat and smoke chamber, set clay flue liners, and outdoor applications. 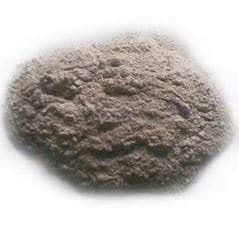 Premixed refractory mortar is a mixer of clays, aggregates, and a liquid silicate as a binder. The properties of such mortar are inferior to hydraulic setting mortar. For instance, it dissolves in water after drying and require long time to dry in wet environment. Added to that, premixed or air-dry mortar may cause efflorescence. Moreover, it comes ready to use in pails about the consistency of a drywall compound, and may be thinned with a little water. Furthermore, air drying mortar is preferred in hot and dry environment because it does not dry out quickly in comparison with other mortar types. It is used in the construction of kilns and furnaces. Finally, it sets quickly after laying and can be clean easily since it dissolves in water. This type of mortar is out of favor nowadays and it is produced using sand, fire clay, Portland cement, and lime. This type of mortar resists high temperature but after it has cooled down, it would loss the binder and hence no longer perform its function. Therefore, this type of mortar is not recommended for locations which are exposed to high temperature regularly. Generally, maximum thickness of refractory mortar in high quality oven is 6 mm. If mortar thickness is greater than 6 mm, it shrinks and left space between bricks and eventually allow bricks to move. Mortar thickness greater than 6mm is allowed for locations away from the hot face. Refractory mortar shall be used only for the brick structure to stay strong and stable. It shall not be left exposed on the hot-face. Refractory mortar is not applicable for filling holes or big spaces or gaps between firebricks. Use recommendation of applicable code to specify number of days between the end of construction and exposing the mortar to high temperature. Which of the following refractory mortar is no loner used? The maximum joint thickness for refractory mortar is 6mm? What are the types of refractory mortar that confirm to ASTM C199? 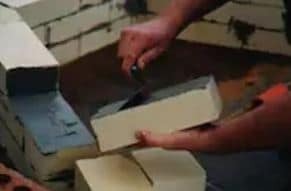 The maximum temperature that refractory mortar withstand for 6 hours is 1499C?